Welcome to uRental.com.au (this ‘Website’). 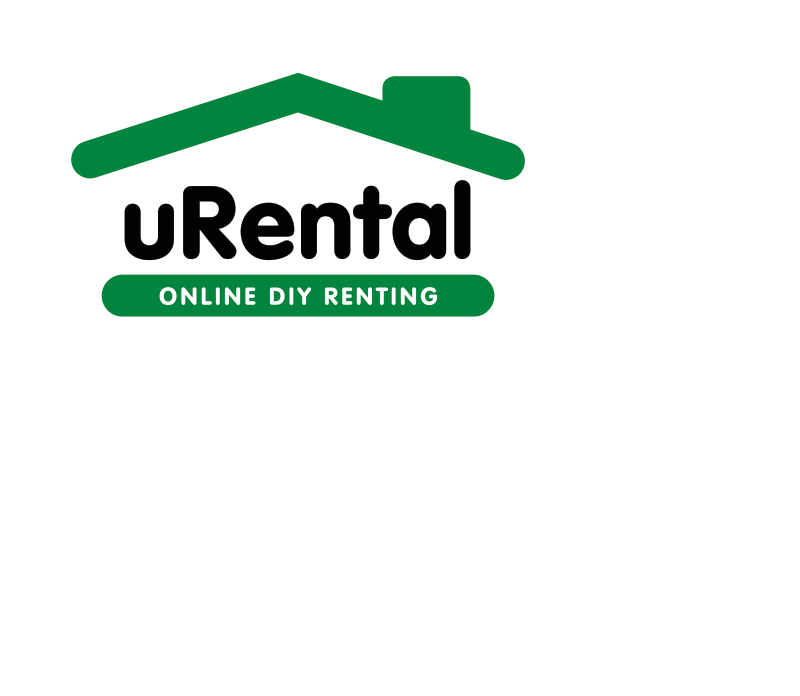 uRental Property Management (‘uRental’), registered in Australia with the ABN 91 786 935 781, whose registered office is 106a Rundle Street, Kent Town, 5067 South Australia who owns and operates this Website. For the purposes of these Terms and Conditions ‘We’. ‘Our’ and ‘Us’ refers to uRental. Please review these Terms and Conditions carefully before using this website. By using this Website (whether as a guest or a registered user) you confirm your agreement to these Terms and Conditions. Your use of this Website is at all times subject to these Terms and Conditions (which form a legally binding contract between uRental and you) and all applicable laws. If you do not agree to these Terms and Conditions, do not use this Website. We may change all of part of the Conditions at any time by publishing the changes on our Website. Your subsequent use of the uRental network will constitute your acceptance of any changes. Information on the uRental network or provided in publications from uRental, or provided by employees, directors, related entities, officers and agents of the uRental network should not be regarded as a substitute for professional legal, financial, commercial or professional advice of any kind. You should seek independent legal advice. (No warranty is made as to the accuracy of information provided on the uRental network. Whilst the uRental network and its employees, directors, related entities, officers and agents make every reasonable endeavour to achieve accuracy and reliability in the information provided on the website and in associated publications. uRental and its employees, directors, related entities, officers and agents disclaim all liability and responsibility for any direct or indirect loss or damage including, but not limited to loss of profit, loss of revenue, loss of goodwill, loss of customers, loss of capital, downtime costs, loss for damage to reputation, loss connected with defamation, loss under or in relation to any other contract, loss of data, loss of use of data, loss of anticipated savings or benefit suffered or incurred by or awarded against you under or in any way connected with this agreement or the website or any consequential loss which may be suffered by you through relying on anything contained in or omitted from the iRental network or associated publications. uRental will make every reasonable endeavour to ensure the Website is available continuously, the uRental network does not make any representations or warranties that your access will be uninterrupted, timely, secure or error free. Your access to the uRental network may be suspended without notice in the case of system failure, maintenance or repair or any reason beyond our control. uRental reserves the right to change or discontinue any website, feature or service or part thereof of the uRental network at any time. on the uRental network at any time by providing notice to you which will be displayed on our website. Should you not accept such changes to our pricing, please advise our office immediately. If you have authorized us to direct debit any charges, we will deem your acceptance of such pricing changes after one month of notice of the change. To access or use certain parts of the uRental network, you must register as a member of our Network. When registering as a member, you must provide us with accurate, complete and up-to-date registration information, as requested. It is your responsibility to inform us of any changes to your registration information. By becoming a member of the uRental network, you affirm that you are 18 years of age or over or otherwise possess legal parental or guardian consent. By becoming a member of the uRental network, and by listing a property for lease on the uRental network, you warrant that you are legally entitled to do so as the owner of the listed property. uRental Property Management may at any time request a form of identification to verify your identity. You are solely responsible for ensuring the security and confidentiality of your membership details, including any username and/or password assigned to you. You are solely responsible for all activities which occur through the use of your membership details including unauthorised use of your credit card. You must notify us immediately if you become aware of any unauthorised use of your membership details. You will pay us the applicable fee listed on this Website (as amended from time to time) at the time of your order of the relevant Services (plus any applicable taxes (including any value added tax)). Fees are payable in A$ dollars Paypal via this Website at such frequency as listed on this Website in respect of the relevant Services. We may choose to temporarily change the fees for Our Services for promotional events or new Services and such changes are effective during the period set out on the relevant page of this Website. Fees are to be collected upfront by debit/credit card for Tenancy Administration, Valuations and Viewings. uRental reserves the right to charge tenants fees in respect of referencing (each tenant is referenced individually and if there is a guarantor involved as well they are also referenced and charged). All tenancy agreements will be drawn up using uRental’s standard tenancy agreement and on the basis of the information supplied by the landlord. uRental does not hold any responsibly for any errors in the agreement due to faulty or missing information. uRental do not offer refunds once payment has been accepted. Any applications for monetary returns must be placed in writing to the Management of uRental Property Management for review. Use of the uRental network is strictly for your personal and non-commercial use only. use the uRental Network in breach of any applicable laws or regulations. delete any attributions or legal or proprietary notices on the uRental network. advertise, promote or solicit any goods or services or commercial activities except where expressly permitted or authorised by us. When you give us content, you grant ‘us’ a non-exclusive, worldwide, perpetual, irrevocable, royalty-free, sub licensable (though multiple tiers), license to use, display, distribute and reproduce such content in whole or in part in any media. You warrant that all content (including but not limited to photographs) provided by you is accurate and does not infringe the rights of any third party and you shall indemnify us to keep us indemnified against any claim against ‘us’ by any third party in relation to any such infringement. As a landlord, you may not use tenant enquiries via the Site to generate interest or further enquiries by any means or method for properties not listed on the Site by the landlord. uRental reserves the right in its absolute discretion to delist an offending landlord’s properties from the Site without offering a refund. monitor use of the uRental network, and store or disclose any information that we collect, including in order to investigate compliance with the Conditions or for the purposes of any authorized police investigation or governmental request. uRental Property Management is not responsible for, and accepts no liability with respect to, any material uploaded, posted, transmitted or otherwise made available on the uRental network by any person. For the avoidance of doubt, we will not be taken to have uploaded, posted, transmitted or otherwise made material available on the uRental network simply by facilitating others to post, transmit or other make material available. Furthermore, we do not endorse, support or recommend any opinion, advice or statement made by any person other than us. The uRental network may include advertisements, hyperlinks and pointers to websites operated by third parties. Third Party websites do not form part of the uRental network and are not under the control or responsibility of uRental Property Management. When you link to a third party website you leave www.urentalpm.com.au and do so entirely at your own risk. 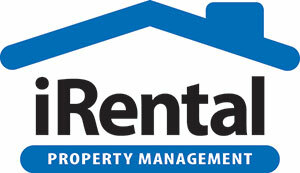 uRental Property Management and its employees, directors, related entities, officers and agents make no warranty as to the accuracy or reliability of the information contained on any third party websites, and disclaim all liability and responsibility for any direct or indirect loss or damage which may be suffered by you through relying on anything contained on or omitted from such third party websites. you warrant that the person to whom the email is addressed has expressly consented to the email being sent; and indemnify uRental Property Management, its employees, directors, related entities, officers and agents against all actions, claims and demands (including the cost of defending or setting any actions, claims and demands) arising out of or in respect of sending any email or any contravention of the SPAM Act 2003. You agree to fully indemnify uRental Property Management, its subsidiaries and affiliates and employees, directors, related entities, officers and agents of the forgoing and hold us harmless against any expenses, costs, loss including consequential loss or damage including but not limited to loss of profit, loss of revenue, loss of goodwill, loss of customers, loss of capital, downtime costs, loss of or damage to reputation, loss under or in relation to any other contract, loss of data, loss of use of data, loss of anticipated savings or benefit suffered or incurred by or awarded against you under or in any way connected with this agreement or the websites that you may suffer or incur as a result of or in connection with your use of, access to or conduct in connection with the uRental network, including any breach by you of the Conditions. Any dispute that arises between a landlord and tenant who have used ‘our’ service will be resolved solely by the landlord and tenant. We are not responsible and shall have no liability for any disagreements or disputes that may arise throughout a tenancy term. In the case of deposits held under a tenancy deposit scheme, if We have collected the deposit on behalf of a landlord, We are deemed to have acted as ‘stakeholder’ so that in the event of any dispute, uRental will take only such reasonable and appropriate action as may be determined by the relevant dispute resolution service in relation to the dispute. These Conditions shall be construed in accordance with and governed by the laws of South Australia, Australia. You consent to the exclusive jurisdiction of the courts in South Australia to determine any matter or dispute which arises under the Conditions. ‘uRental network’ means all of the websites that we own and/or operate from time to time, regardless of how those websites are accessed by users (including via the internet, mobile phone or any other device). ‘Material’ means text, illustrations, photos, audio, video, any combination of these or other material. ‘Membership’ means the status a browser achieves after registration with the uRental network by submitting the required personal details and the address/es of their rental properties. ‘Us’, ‘we’ or ‘our’ means uRental Property Management (ABN 91 786 935 781) and/or its related bodies corporate.